Left: Charles Manson in a 2009 photo released by Corcoran State Prison. 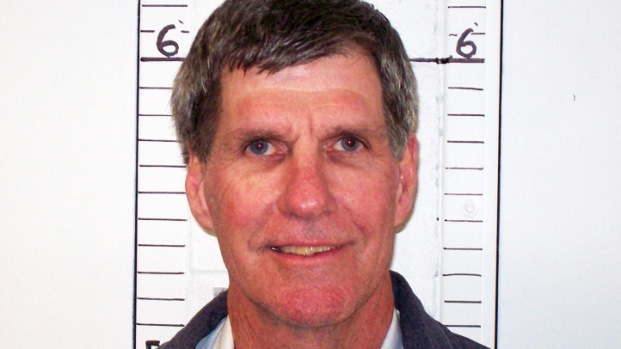 Right: An undated photo of Tex Watson released by the California Department of Corrections. LAPD investigators are set to get their hands on audio tapes that could reveal new information about the Manson Family murders, but the ex-follower featured in the tapes, Charles "Tex" Watson, is trying to stop that from happening. Patrick Healy reports from LAPD headquarters in Downtown LA for the NBC4 News at 6 p.m. on June 12, 2012. A federal judge rejected an appeal by ex-Manson follower Charles "Tex" Watson in which he asks to keep recordings between him and his lawyer from being released to police. The Los Angeles Police Department believes the tapes could hold clues about unsolved Manson Family murders. Patrick Healy reports from Downtown Los Angeles for the NBC4 news at 6 p.m. on June 14, 2012.